Let’s start by looking at customer related risks. When assessing this, you will need to consider risks posed by your customers’ customers and perhaps your customers’ customers’ customers. You need to look for risks as far up the supply chain as is necessary. For instance, if all your direct sales are to Irish based customers, but they in turn export say 50% to the UK, then your business is exposed to risk. i) Liaise closely with your customers to understand their Brexit challenges and action plans – then assess how severe an impact their plans will have on your business. Now you can base your risk assessment and action plans on facts rather than speculation. Where possible try to agree on some joint actions to address their challenges. However, in addition to any collective actions agreed, you should develop additional action items focused on your own needs. ii) If you don’t already know, find out how price sensitive your customers are. It may be possible to pass on some price increases. This will depend on the competitive landscape and whether you have UK based competitors. For instance, if all your competitors are based outside the UK, then you should start to condition your customers to expect price increases. It’s unlikely that the full Brexit cost impact can be passed on to customers, but even small price increases will make the challenge a little smaller. iii) If your UK customer base is significant, you will need to investigate the costs and feasibility of setting up an operation in the UK. This will help to overcome the trade tariffs and will level the playing pitch with the local competition there. This isn’t always a viable option, but it should be investigated and priced. iv) You should also analyse your competitors to understand how their cost base will likely be impacted by Brexit – for instance, do they source key materials outside the UK and is this a significant percentage of their selling price. If so, their costs base will be adversely affected by a weak sterling and import tariffs. Spend time, therefore, understanding your competitors cost structure and benchmark yours against it. 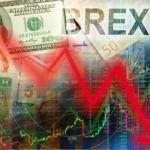 The adverse effect of Brexit on your business relative to their might may not be as bad as you fear. v) Identifying and targeting new markets should also be given serious consideration. A good place to start is with your UK based competitors. Do they currently sell into the EU? If so, their EU based customers are more than likely looking for ways to mitigate their exposure to Brexit. Gather market intelligence to identify those customers and target them. vi) If you face competition in Ireland from UK based companies, then their Irish based customers represent an opportunity for you. While the exchange rate favours the UK based competitors today, the introduction of trade tariffs will likely negate that advantage. In any case, those companies face uncertainty in their supply chain, and that will worry them. Now is the time to start discussions with them. I suggest trying to open the door slowly – get a foot in first. Suggest that they introduce a second supplier now, a EU based one, for maybe 10% of the volume. This will lower their level of risk while not having a major impact on their cost base as only a small percentage of the volume is coming from the alternative source. If tariffs are introduced due to Brexit, you will now be in pole position to increase your share of their volume. Let’s look at some supplier-related risks next. When assessing supplier risks, you again need to consider your suppliers’ suppliers and perhaps your suppliers’ suppliers’ suppliers. Map out the full supply chain to establish if there is a UK link in the chain. 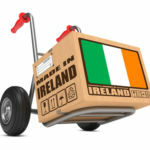 So is your supply chain safe if all your suppliers are based in Ireland or the EU (Non-UK), and there is no UK link in the chain? Not necessarily. Suppose 80% of your supplier’s turnover comes from UK based customers. 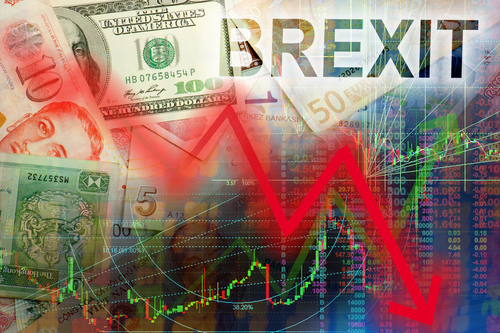 Your supplier now has significant exposure to Brexit, and if they go out of business at short notice, you have a considerable problem. It’s essential to liaise closely with your suppliers. Get an understanding of their Brexit challenges and action plans. If your supply chain is exposed to risks due to Brexit, you need to start looking for alternatives now. It takes time to identify and prove new suppliers, primarily if the new suppliers are based in a country you have not dealt with previously. The search needs to start as soon as possible. This will allow time for trail orders to be placed and analysed. The new suppliers can be introduced as a second source of supply initially until they have proven themselves. Often several suppliers need to be tested before finding the best value and fit for your business. When assessing Brexit related logistics risks you need to include a review of materials which originate outside UK and products sold to customers outside the UK, but which are transported via the UK. 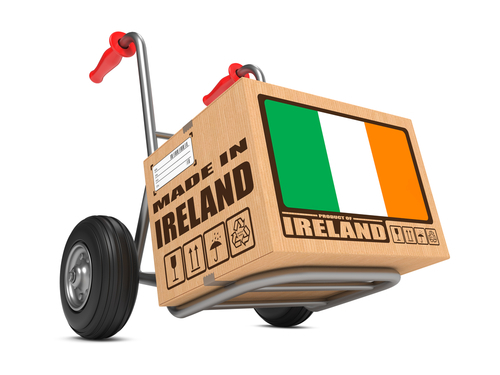 Approximately 80% of all Irish road freight that reaches Europe today goes via the UK. Any goods that are shipped to/from or via the UK will be impacted by Brexit. Additional administration staff may be required; you may need to hold higher levels of inventory to overcome longer lead-times and possible customs delays. If that happens, your working capital requirements will also increase. You cannot fix the shipping routes issue on our own. However, you should monitor develops in this area and identify and source any additional working capital required before it becomes a crisis. You also need to recognize the risks posed and include an estimate of other costs associated with it when preparing your financial model as recommended in my previous article. In these articles I have only scratched the surface of the challenges facing Irish businesses as a result of Brexit. The first step for Irish firms is to acknowledge that Brexit will bring problems and then to invest time and resources in preparing for it. The companies that start preparing now will be the winners in the post-Brexit world. I hope you have found some things of benefit in this article and I wish you the best of luck with your preparations. If you would like to know more about any of the ideas I have introduced in these articles just send an e-mail to info@caseybusinessconsulting.ie requesting same.